Bebecar Classic Stylo Class 2in1 Pram System-Oxford Blue (364) + FREE Carre Changing Bag! Bebecar Special I Top 2in1 Pram System-Mist (841) + FREE Carre Changing Bag! 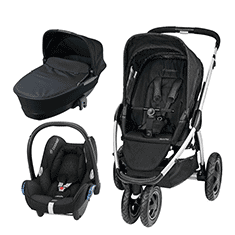 Bebecar Special I Top 3in1 Travel System-Eclipse (843) + FREE Carre Changing Bag! Bebecar Magic I Top 2in1 Pram System-Cognac (838) + FREE Carre Changing Bag! Bebecar Magic Stylo Class 3in1 Travel System-White Magic (628) + FREE Carre Changing Bag! Bebecar Classic Pack Stylo XL 3in1 Travel System-Royal Blue (659) + FREE Carre Changing Bag! Bebecar Special Stylo Class 3in1 Travel System-Eclipse (843) + FREE Carre Changing Bag! Bebecar Special Hip Hop Plus Evolution 2in1 Pram System-Diamond (840) + FREE Carre Changing Bag!